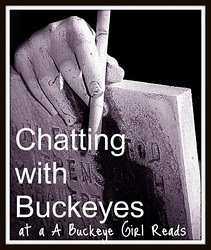 Welcome to Chatting with Buckeyes, where every month I interview an Ohio author about what they have coming out or past books they have written. This month help me welcome, Historical Romance author Belinda Kroll! I’m a word nerd, history geek, and computer dork. I’m Belinda Kroll, author of historical romance and the mind behind Worderella Writes. 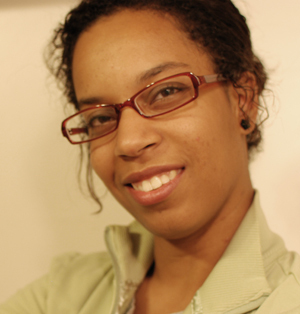 I am a usability analyst and user researcher. I received my Bachelors of Science in Computer Engineering with a minor in English, and a Masters of Science in Human Computer Interaction Design. I reside in central Ohio with her laptop, handmade-over thrift shop furniture, and books. Many, many, delicious books. On average, I write a blog post once a week to review books I’m reading, talk about books I’m writing, and discuss other related topics. Don’t ever feel out of the loop, subscribe to Worderella Writes! 1. What made you write historical fiction? I grew up reading books like A Lantern in Her Hand, the Little House books, Little Women, etc. Whenever I wrote something, it was historical. I've tried to write other genres... once I wanted to write a contemporary novel. First draft didn't work. So I made it a time travel. But that didn't work either. So I gave up and made it a historical again and never looked back haha. 2. Do you have a favorite time period? If so, which one is it? I love the late Victorian era. I used to read everything under the sun about the Regency and burned myself out... the late Victorian era is the foundation for much of today's Western mores. Cliches like "Cleanliness is close to Godliness" didn't exist until the late Victorian era, and today's American obsession with British royalty came from the American heiresses in the 1870s whose families wanted to be "established" in society. 3. What makes your books stand out from other historical fiction books? Most of the time, I read genres outside of historical fiction, which influences my writing. My latest book, Haunting Miss Trentwood, has this absurd premise of father knowing best, even after death. I write what I call "quirky" historical fiction because I will pull elements from other genres to give the genre an extra kick. 4. How many books do you have published? What are they and how can we find them? I currently have two books out, Catching the Rose and Haunting Miss Trentwood. I am in the process of giving Catching the Rose a refresh by doing some heavy editing, so I won't go into much detail about that one. I wrote and published it in high school, and though it has sold fairly well over time, after seven years it could do with a wake up call. Haunting Miss Trentwood is the story of Mary Trentwood, beginning the day of her father's funeral. She is the only one who sees her father crawl from his grave, and is dismayed to find he is just as bossy in death as he was in life. Things complicate even further when a lawyer appears on her doorstep claiming he has traced a blackmailer to her address and he will not leave until he has exposed the criminal. You can find Haunting Miss Trentwood through multiple channels in print and eBook formats at Bright Bird Press (http://brightbirdpress.com). 5. Do you read any other historical fiction writers? Do you have a favorite? I love Amanda Quick and MJ Rose because they pull fantasy into historical fiction, and they do it well. Tasha Alexander and Deanna Raybourn do wonderful historical mysteries. Of course I adore Jane Austen, but she isn't really historical fiction but classical. I have read a couple of Candace Camp books, but to be honest, I tend to stay away from the straight historical romance. 1. What's your favorite place to visit in Ohio? Hmmm good question. I have to say my favorite spot to visit is Mirror Lake on Ohio State's campus. I went there for undergrad and that lake was my refuge after a long day of programming. I would walk down to south campus and sit at the edge of the lake watching birds, dogs, and people as they went about their business. Very peaceful. I love the local food scene in Columbus. The restaurants are sometimes hard to find, but they are worth it when you do. I can't say what food I love best because I love to try all sorts of foods. In terms of a recognized brand from Ohio, however, you can't go wrong with Graeter's Ice Cream. Or Jeni's Splendid Ice Creams. Both are delicious in their own right. 3. How long have you lived in Ohio? My entire life, minus the two years I lived in Indiana for graduate school. 4. What is your favorite C City-Cincinnati, Columbus or Cleveland? Columbus! I've only visited Cleveland once or twice, and I think I've only been to Cincinnati once. The only thing I know about Cinci is King's Island is near there, and there's an Ikea I need to check out. Thanks for having me! O-H! No, thank you for being here and an I-O to you!